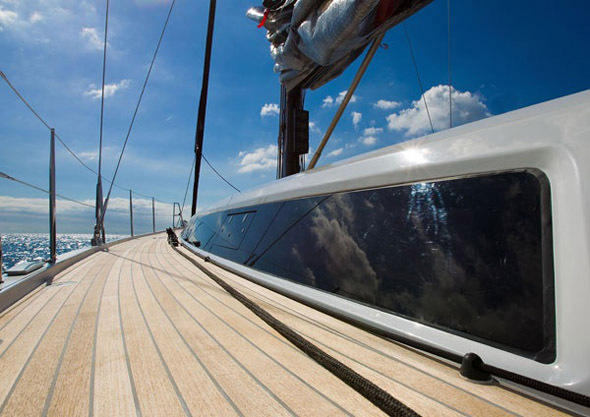 The innovative carbon/composite transversal grid, coupled with the unidirectional longitudinal fibers of the hull, guarantees maximum stiffness, resistance to torsions and a significant weight reduction. 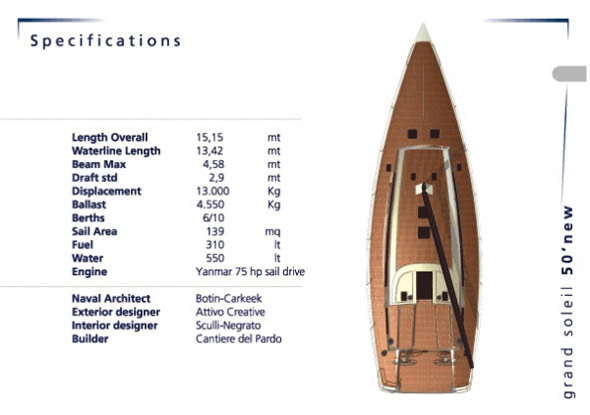 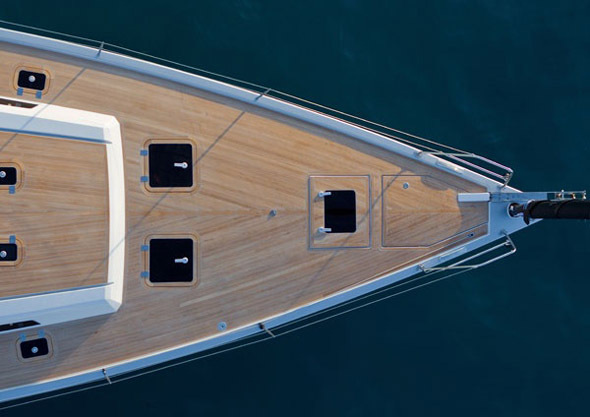 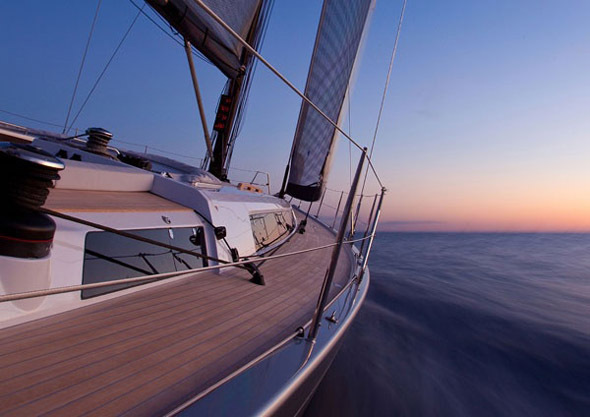 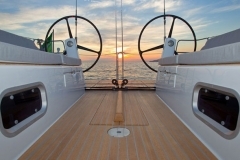 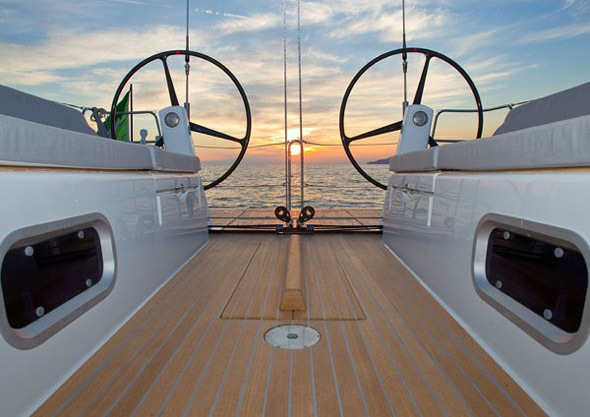 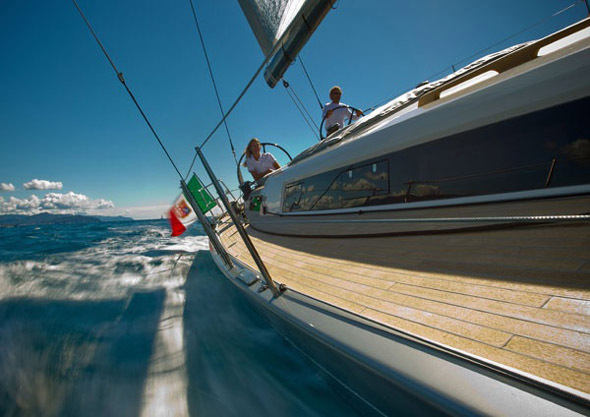 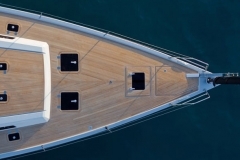 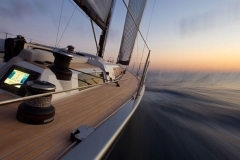 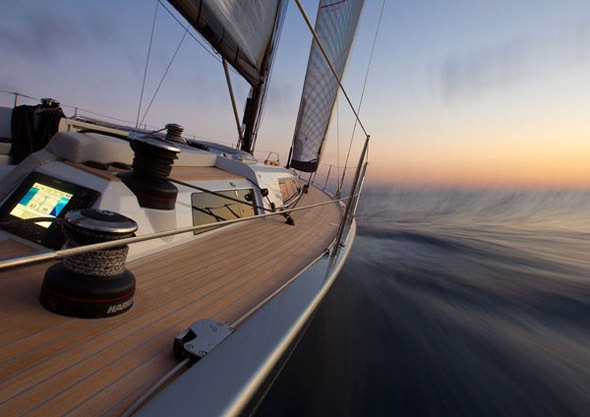 The deck hardware layout is designed to allow a single handed use of the boat. 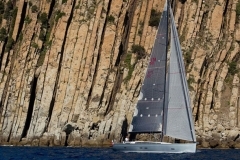 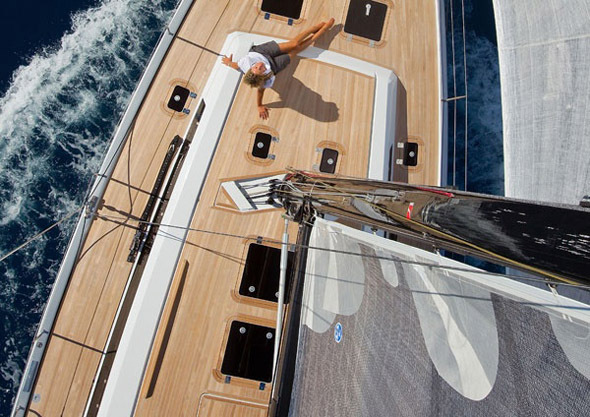 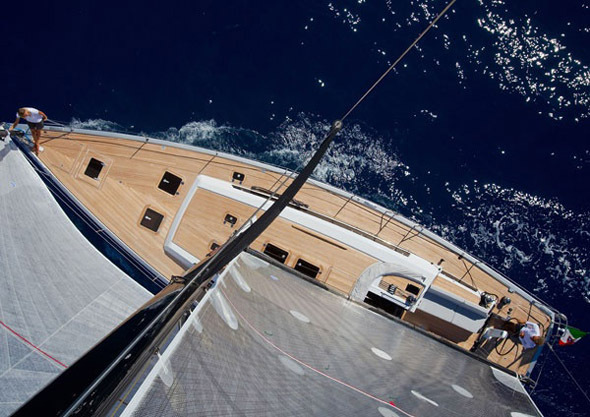 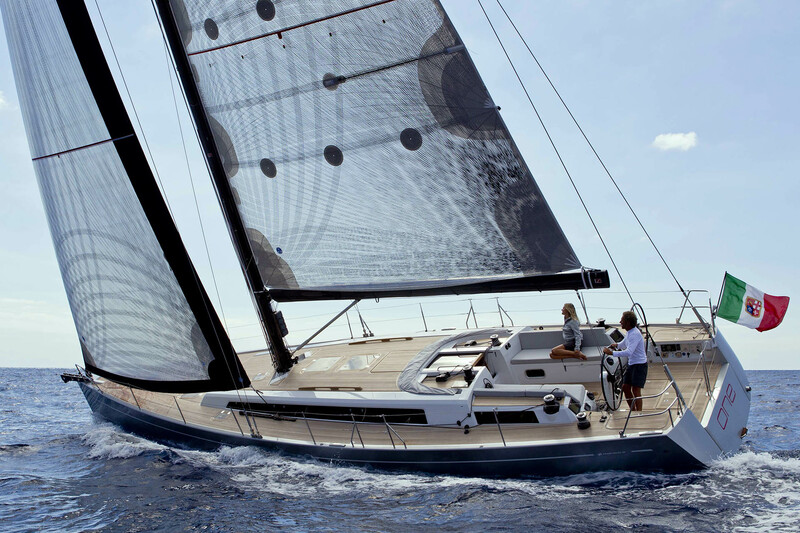 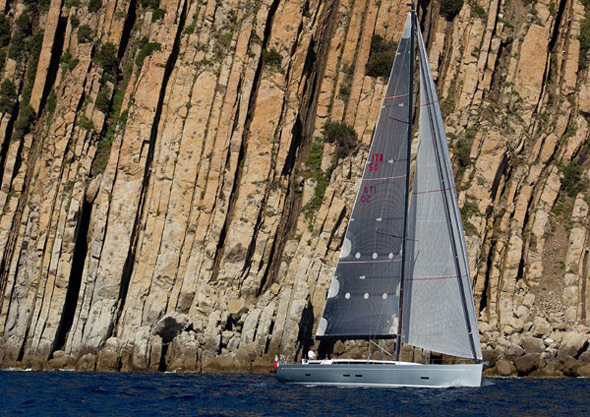 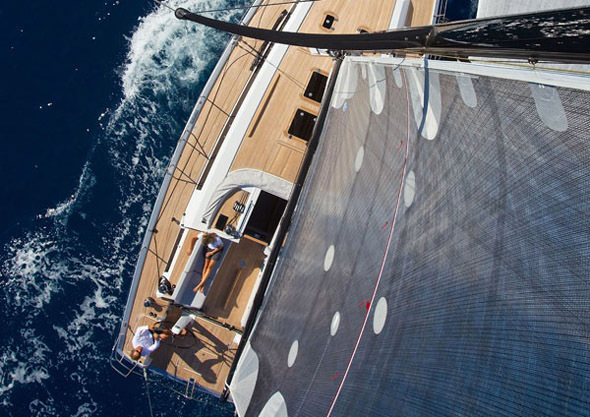 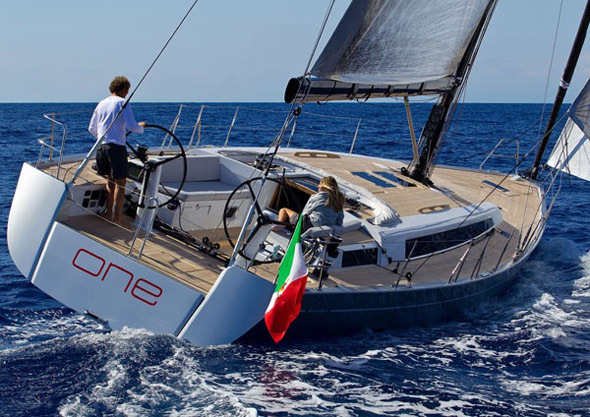 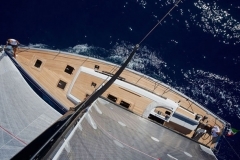 The ‘T’ shape mainsheet system, typical of maxi yachts, maximizes the control of the mainsail and keeps the running deck free from the lines. 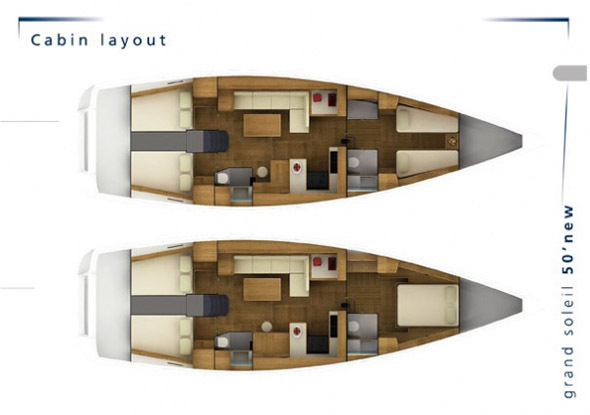 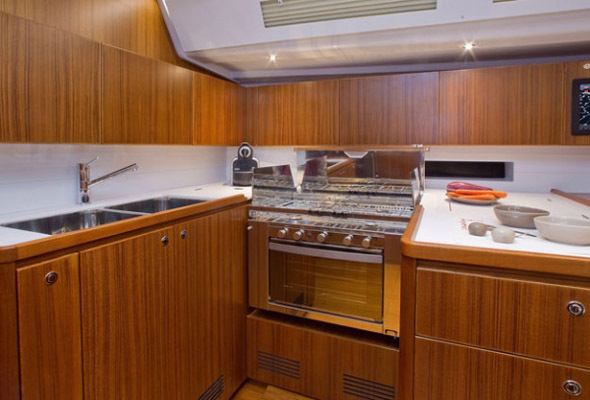 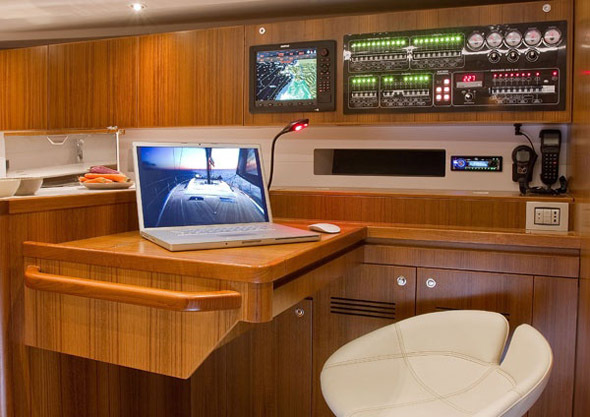 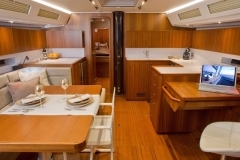 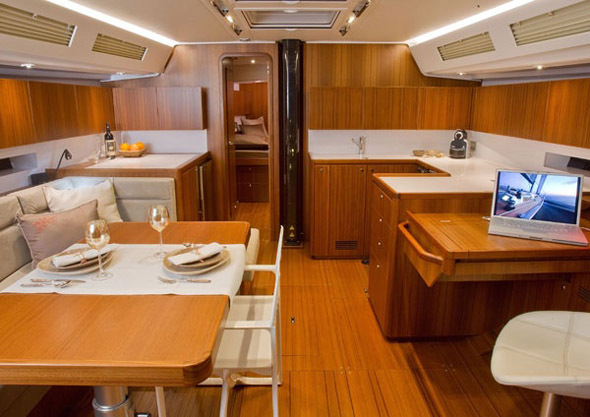 The interior layout was designed to meet all the needs of the boat owner in the best possible way. 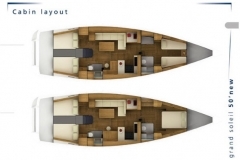 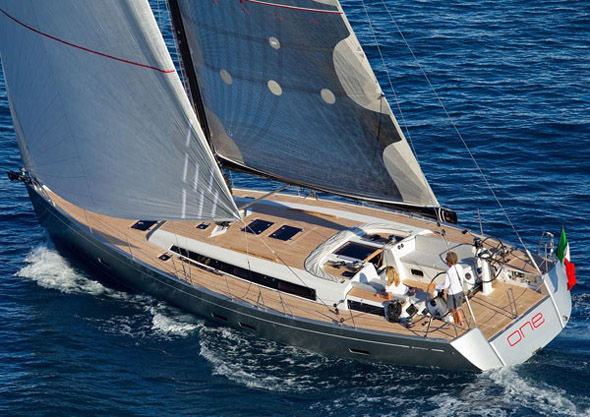 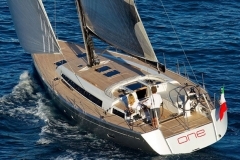 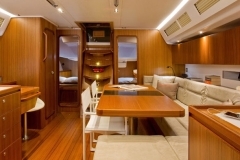 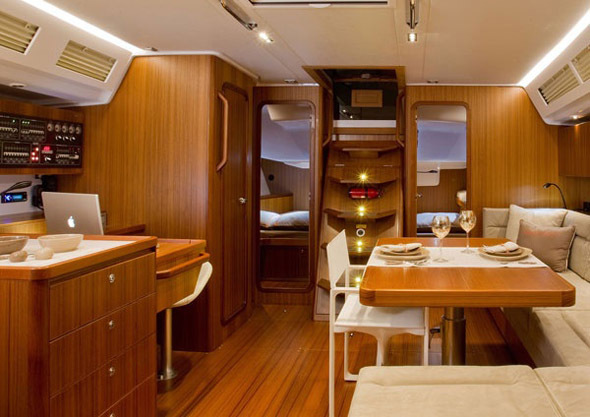 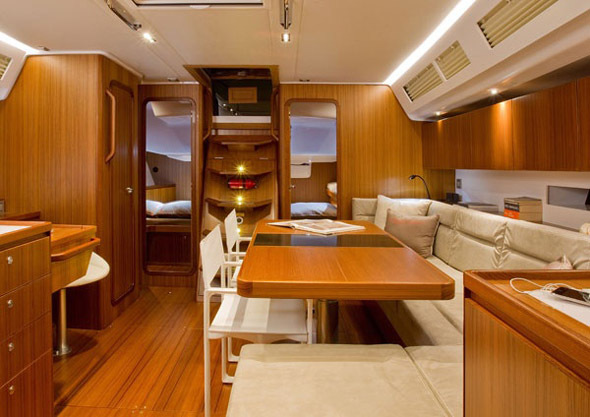 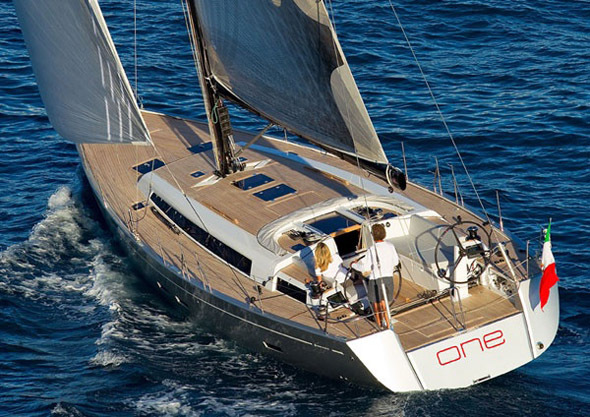 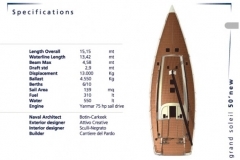 The internal areas are extremely ergonomic, usable and comfortable giving the impression of a much bigger yacht.